Cushing Isle is a comfortable, relaxed sweater with a touch of elegance. 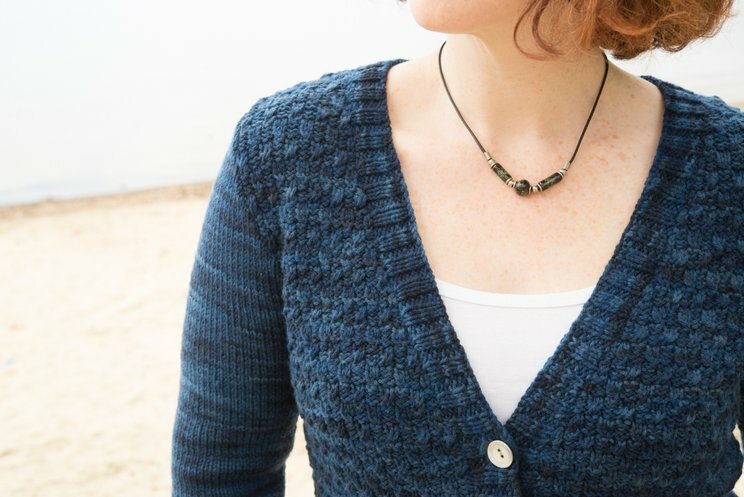 It was created specifically for Clara Parkes' limited edition Cormo 1.0, an incredibly comfortable and fantastic sweater yarn, but its comfortable, slouchy style will work in a variety of materials. 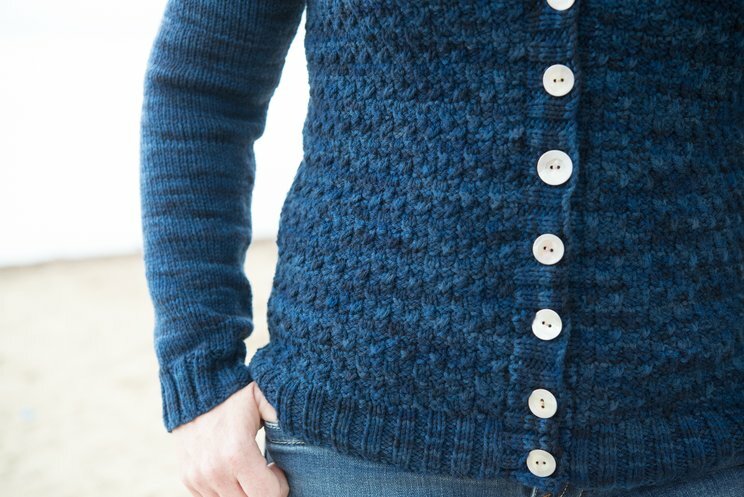 When Clara's special yarn arrived at my house, I knew I wanted to make a sweater out of it that begged to be worn. Not one of those sweaters that you finish and admire for its intricacy and detail, but instead one that you wear every day - for its blend of perfect fit, comfort, and style. I used a Cabled Check pattern on the straight fronts of this sweater, to break up the variegation in the yarn a bit and add some interest. Classic, comfortable 2x2 ribbing trims all of the edges. 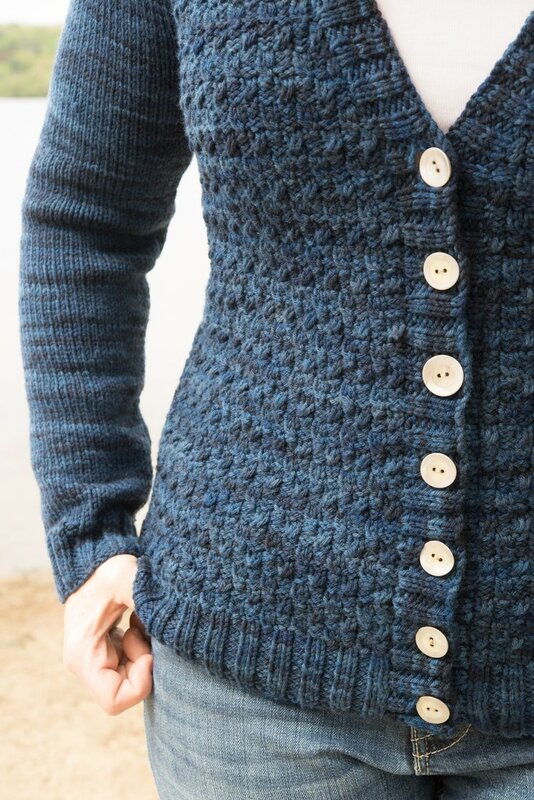 Please note: This cardigan contains waist shaping on the back of the sweater only; the fronts are worked straight to the armholes. This may cause your CustomFit pattern to have a larger waist than usual; this is intended, and produces the slightly slouchy look of the sweater.